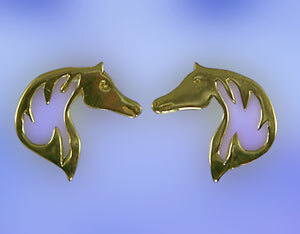 Horse Head Earrings, the Gorgeous Horse is your source for custom made equestrian jewelry. Check out these horse head silhouettes! The outlined design is contemporary and sleek, great for the creative and fashionable side in you. Dimensions: 3/4 inchesx 3/4 inches.